Science educational activity for children: Make a rainbow with mirror! This article contains a science educational activity for children above an age of 8 years. This is based on the scientific principle of refraction. Children can perform this activity in either classroom or in their homes. This activity helps to teach children scientific principles through easy and fun ways. Have you ever seen rainbow? At least you would have seen in pictures. Rainbow is a beautiful formation of seven colours in the sky. Ecery one of you would have wished to see a rainbow at least once in your life. But don't worry! With this simple trick, you can make your own personal rainbow and watch it as much time as you want! So why wait? How to make a rainbow using a mirror? Step 5: Enjoy the rainbow! The reason behind the magic is purely scientific. 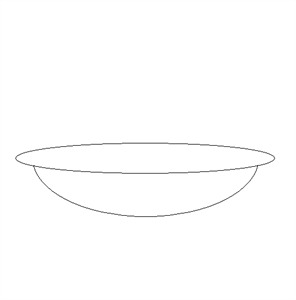 The sun ray comes through the window and enters the water in the bowl. Due to the presence of water, the sun ray get refracted to 7-coloured spectrum. This spectrum is reflected by the mirror. The reflected spectrum falls on the white wall and forms a rainbow. The same is the reason behind the formation of rainbow in the sky. In this case, the rays get refracted due to the presence of water molecules that remain in the atmosphere. That is why rainbow is formed after a rain most often.